European Navies and the Conduct of War considers the different contexts within which European navies operated over a period of 500 years culminating in World War Two, the greatest war ever fought at sea. Taking a predominantly continental point of view, the book moves away from the typically British-centric approach taken to naval history as it considers the role of European navies in the development of modern warfare, from its medieval origins to the large-scale, industrial, total war of the twentieth century. Along with this growth of navies as instruments of war, the book also explores the long rise of the political and popular appeal of navies, from the princes of late medieval Europe, to the enthusiastic crowds that greeted the modern fleets of the great powers, followed by their reassessment through their great trial by combat, firmly placing the development of modern navies into the broader history of the period. 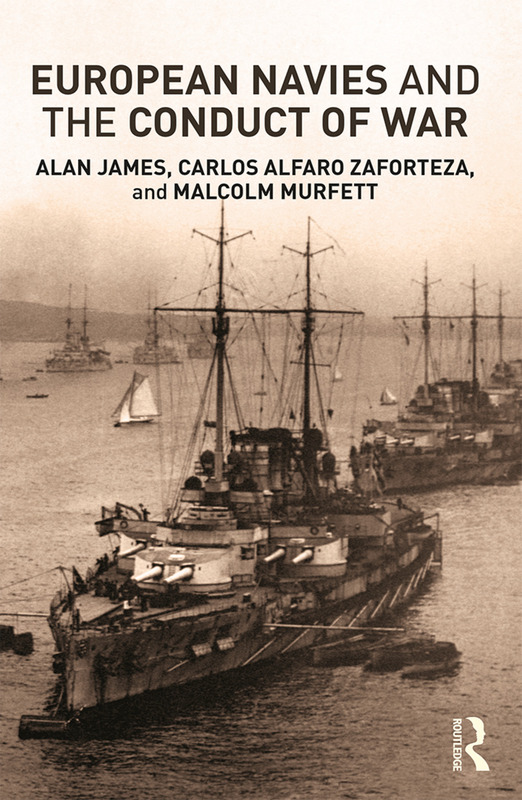 Chronological in structure, European Navies and the Conduct of War is an ideal resource for students and scholars of naval and military history. Alan James is a Senior Lecturer in the Department of War Studies, King’s College London, and a member of the Laughton Naval History Unit. He has written widely on France and its navy, including The Navy and Government in Early Modern France, 1572-1661 (Boydell, 2004). Carlos Alfaro Zaforteza is a Teaching Fellow in the Department of War Studies, King’s College London. He is the author of a number of essays and articles on naval warfare and a member of the Strategic Leadership project, a joint venture of the Consejo Superior de Investigaciones Científicas (Madrid) and the Instituto Español de Estudios Estratégicos (Madrid). Malcolm Murfett is a Visiting Professor in the Department of War Studies at King's College London and an Associate Editor of the Oxford Dictionary of National Biography. He has written a number of books on British foreign and defence policy in Asia and is the author of Naval Warfare 1919-1945 (Routledge, 2013).